WooHoo!! Gonna play me some Disco Fever next weekend! Do you have the cassette or a internet file? I haven't tried "Disco Fever" yet, but I used "D-Fender" when I was testing my prototype modules, and the copy provided with Virtual Aquarius loaded perfectly for me. It occurs to me that I should post a brief tutorial on loading cassette games, since most people playing these games on a real Aquarius today will probably be loading them from a PC or media player and not from a real cassette. To clarify the process, I'll first describe loading the games into the Virtual Aquarius emulator, using "D-Fender" as an example, and then I'll discuss loading them into a real Aquarius from a PC sound card. The Aquarius Data Recorder cable has a round DIN-5 connector on one end and a pair of mono 3.5mm audio jacks on the other. The DIN-5 connector plugs into the Aquarius "Cassette" port, and the 3.5mm jacks can be plugged into either the Aquarius Data Recorder or a third-party cassette player. 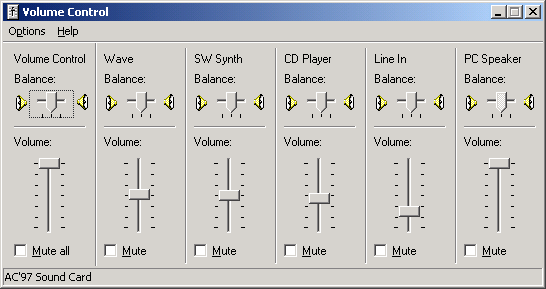 They can also be used with the "Speaker" and "Microphone" ports on a modern PC's sound card, which makes it possible to play back images of the original Aquarius cassettes from a PC. First, it is necessary to obtain copies of these images, along with tools to convert them to a playable format. 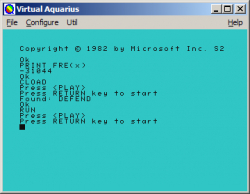 You'll find both in the distribution of the Virtual Aquarius emulator provided in this post. 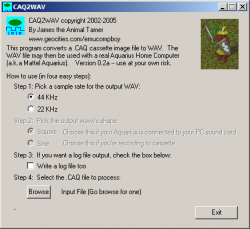 Download and extract the Virtual Aquarius archive, and you'll find two folders: "Cassette", which includes lots of cassette images, and "Tools", which includes a Windows executable called CAQ2WAV (I'll get back to this later). Look through the collection of cassette images first, and you'll notice that many of them are in pairs: the "D-Fender" folder, for example, contains the files "DEFEND_BAS.CAQ" and "DEFEND_A.CAQ". Files with a "CAQ" extension are Aquarius cassette images. Loading most cassette games into the Aquarius is a two-step process: the second file, "DEFEND_A.CAQ", is an array of data containing the actual "D-Fender" game, but the first file, "DEFEND_BAS.CAQ", is the BASIC "bootstrap" program which loads the game into RAM and then runs it. Now you are ready to proceed with loading software from tape. Type CLOAD at the BASIC prompt, and you will be prompted to play the cassette. Press the ENTER (or RETURN) key at the prompt, then "play" the first file, "DEFEND_BAS.CAQ", into the simulated Aquarius using the "Play Cassette File" option in the "File" menu. If the file loaded successfully, the program name will be displayed on the screen, and you will be returned to the BASIC prompt. 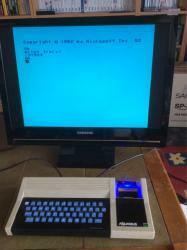 Next, type RUN to start the bootstrap program, and you will get another prompt to play the cassette. This time, play the second file, "DEFEND_A.CAQ", into the emulator. After the game is loaded into RAM, it will be started automatically by the bootstrap program. Leave the options at the defaults, and click the "Browse" button to select the CAQ image to convert to WAV format. When the "Open File" dialog box appears, browse to the "Cassette" folder and select the first of the two image files, "DEFEND_BAS.CAQ". Click "Open", and the file will automatically be converted to WAV format. You won't get any visual indication that this has happened; the WAV file will be created in the same folder as the original CAQ image. Repeat the process for the second file, "DEFEND_A.CAQ". You should be able to use any media player you choose (start with the simplest one you have and work your way up from there); the only important thing to remember is that any equalizers or other output effects should be disabled, as these can distort the sound and make it unrecognizable to the Aquarius. You may also want to disable auto-repeat, so the WAV files do not unexpectedly play over and over again in a loop, along with any system sound effects that you might have. 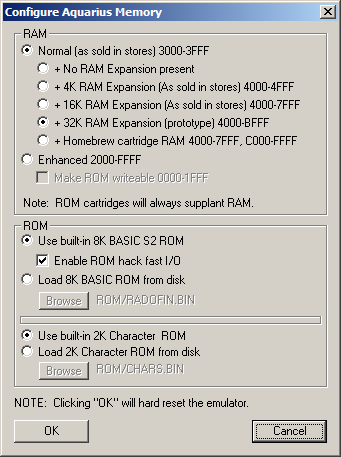 When you start your Aquarius with the 32K RAM Module inserted for the first time, make sure that the extra memory is visible to BASIC by typing "PRINT FRE(x)" at the BASIC prompt, without the quotes (see the screenshot above for an example). You'll notice that the amount of free RAM is shown as a negative number, but this is due to a bug in BASIC. If this is what you see, the extra RAM should be working. Go through the same CLOAD sequence described above, and when you are prompted to play the cassette, play the appropriate file using your media player of choice. Just remember to press the "RTN" key at the CLOAD prompt before you begin the playback! Again, it may take some experimentation to get the volume levels correct, but you'll know when you get them right because the first file, "DEFEND_BAS", will load quickly and will display the program name after it has loaded successfully, as shown in the screenshot. When you get it working, make note of the audio settings that you used so you can use them again next time. No, I just use the files in the emulator's "cassette" folder as Jay mentioned. 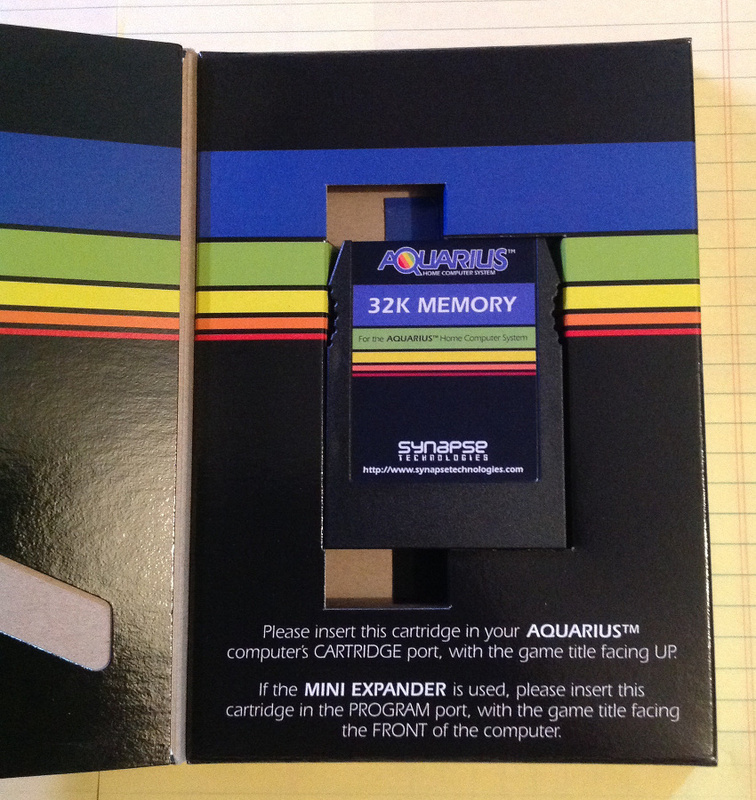 I am unaware if there are any cassette games that aren't captured in the Virtual Aquarius package. I saw a YT video of "Disco Fever" awhile back, so it has been tantalizing me and my stock machine ever since. I am also eager to play Scramble, as it is one of my favorites from the arcade version and all the many ports, although I am keeping my expectations low. Edited by Chuck D. Head, Mon Jun 16, 2014 4:27 PM. Not nearly all the cassette games are available through the internet and in your case Scramble is on of them! I ordered the Aquaricart and 32K module from jaybird3rd and recieved them today. I wanted to say what a pleasure it was ordering and working with jaybird3rd. Fast shipping. The packaging job was one of the best I have ever seen. And the carts! Wow! Now I just need my Aquarius to arrive so I can start playing. I wanted an Aquarius when I was a kid and now my dream is coming true. Thanks Jay for not only a wonderful product, but for a wonderful experience when opening the package. I can't wait for what comes next. Thanks for the kind words, ravard! I'm glad to know everything arrived safely! Several other buyers within the USA should also have received their shipments today. 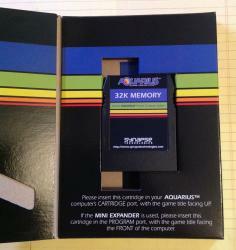 A quick reminder about these new "low-profile" cartridges, including the 32K modules and the newer Aquaricarts: they should be inserted into the Aquarius computer with the label side facing UP, or into the Mini Expander with the label side facing toward YOU. Or, to put it another way, the screw side should face the BOTTOM of the Aquarius or the BACK of the Mini Expander. This may not be obvious at first glance, so in the future I'll probably add a label to the back with some instructions, at least for the loose cartridges. I received mine today, but not knowing exactly how it works I didn't really mess with it or try it out. I'm still pretty new to the Aquarius. Pimpmaul hooked me up with a console a while back, but I haven't really had time to play it....until today I finally tried out my Aquaricart and played a game of Astrosmash (78,555 5x). It got really hard after 50,000 points as compared to the Intellivision version. I think I broke 600k with that one. I don't have the manual for the console/keyboard or for the mini expander, but I do have the manual for the Aquaricart. Is there a quick one page tutorial for basic navigation of menus? I learned that pressing Reset will reset the game and holding Reset will reset the Aquaricart menu. Other than that, I'm pretty much running blind with this new animal Are there any basic instructions for the new memory module (when and how to use it)? Sorry for all the questions. I will be providing a manual for the 32K module in PDF format (EDIT: see below). To use it, all you have to do is plug it into the "Memory" port of your Mini Expander, label facing front, and turn on the computer. It's about as "Plug and Play" as you can get. The extra memory will be automatically available to any Aquarius software that can use it; other software will simply ignore it. As for the Aquaricart: there is a help screen that you can access by pressing "? ", and the manual describes how to use the menus and other features in more detail. Here's a quick summary: the "-" and "+" keys move the menu selector up and down, and the "<" and ">" keys jump to the first and last page of the menu. Look at the bottom row of the menu screen; it includes a list of these keys and a brief description of what they do. Once you've selected a cartridge from the menu, press RTN to start it, "2" to view its instruction manual, "3" to view its trivia file, or "4" to view its "Quick Reference" guide. 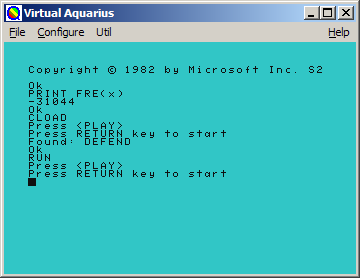 The RESET key is used to "warm reset" the Aquarius; this is necessary to restart some of the games. On some machines, you might be able to get back to the Aquaricart menu by holding RESET, but that's an accident of the hardware and probably won't work consistently. The "correct" way to get back to the menu is to cycle the Aquarius power, waiting two or three seconds between turning it off and turning it on. I received mine yesterday as well, and it's a great looking little cartridge. Since I don't have an Aquarius, he may have sent me a dud for all I know. Got mine, looks great! So far I only tested it as a nightlight, but I will be loading up some games tonight. Does the 32k cart ship in an Aquarius box? if so, can I see how they look together? Even though the 32K module will not be shipped in a box, my later releases will be, and they'll probably share the same basic label design as the 32K module. That is a nice looking box. Awesome work. And one day a lot of us will have one with a game in it! received my memory carts and they are awesome. excellent work, much appreciated. I can't post a pic until I get home to mess with it again, but with the memory module installed does it boot to a different screen than it normally would without it installed? I briefly tried it and it went to another screen (not the Aquaricart menu screen). Did I break it? No, the computer should boot as it normally does with the 32K module installed ... only with more RAM. Try reseating both the 32K module and the Aquaricart (unplug them both and plug them back into your Mini Expander again), as the problem may only have been a bad connection. That can happen if the "Memory" port of the Mini Expander hasn't been used in a while. If that doesn't work, let me know what screen it booted to and we'll take it from there. I'll try it later today. Thanks for the suggestions! The green light is pretty. Much excite. Excellent! Glad it's working for you. The major disadvantage of these new cartridges is that it's very easy to insert them the wrong way. Mattel and other publishers put some instructions on their Intellivision cartridges as a reminder for their users, and I think I'll do the same with my Aquarius cartridges. I had instructions printed on my boxes, but for loose cartridges like the 32K modules, I'll probably put a label on the back. Thank you! I'll send you a PM shortly. Edited by Intymike, Thu Jun 26, 2014 6:13 AM. Excellent! It still amazes me to see something from my workbench making its way around the world. I hope you find it useful! I started a thread in the Marketplace to help spread the word about these modules, and I also posted some information which explains what they do, how they work, and how they can be useful. So, if anyone has any questions along those lines, see here. 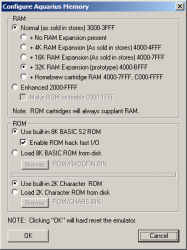 Is it necessary to upgrade the RAM in my 600XL?